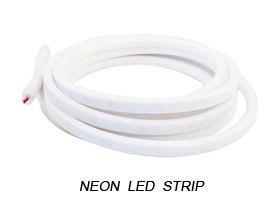 CCT Adjustable Flexible LED Strip Light with 16.4’ 72W 300 Diodes 5050 Color – This LED Strip light use 2-in-1 led chip. It is CCT adjustable by controller and in 14.4W/M (4.8 Watts foot). It uses a 5050 LED Chip placed every 0.66”(16.6mm). 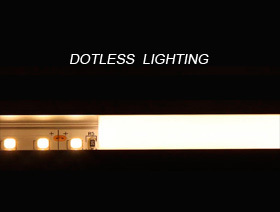 This LED Strip has low Density Lighting with 60 didoes per meter or (18/ft). 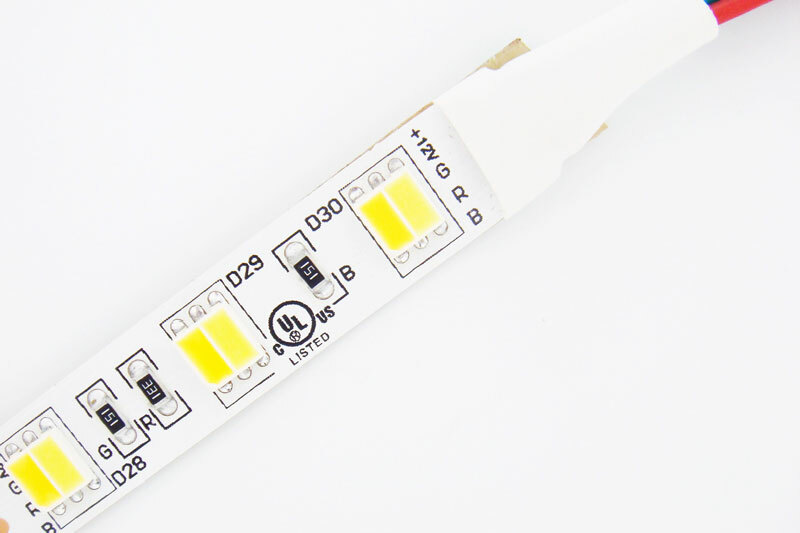 It is cuttable every 3 LED chips or 2”(50mm) for 12VDC. 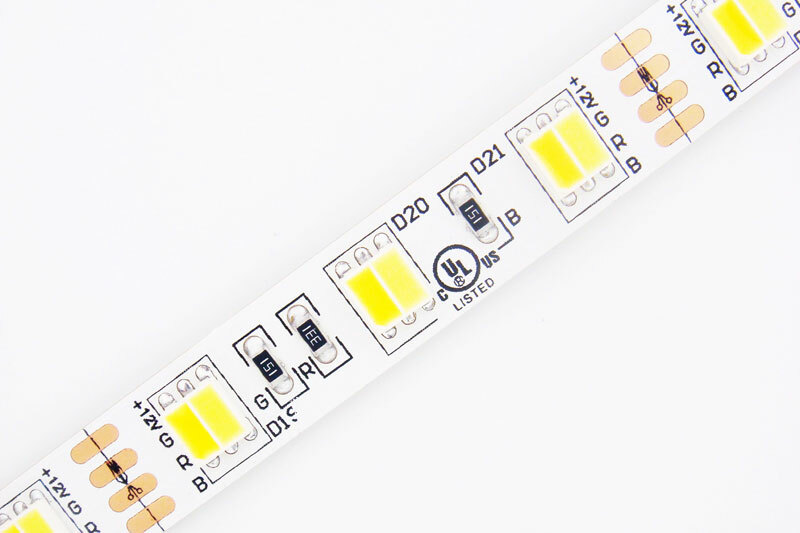 The pcb width of this led strip light is 10mm. It has a strong 3M adhesive tape backing on IP20 and IP65 strips that allows it to peal and stick to most surfaces. 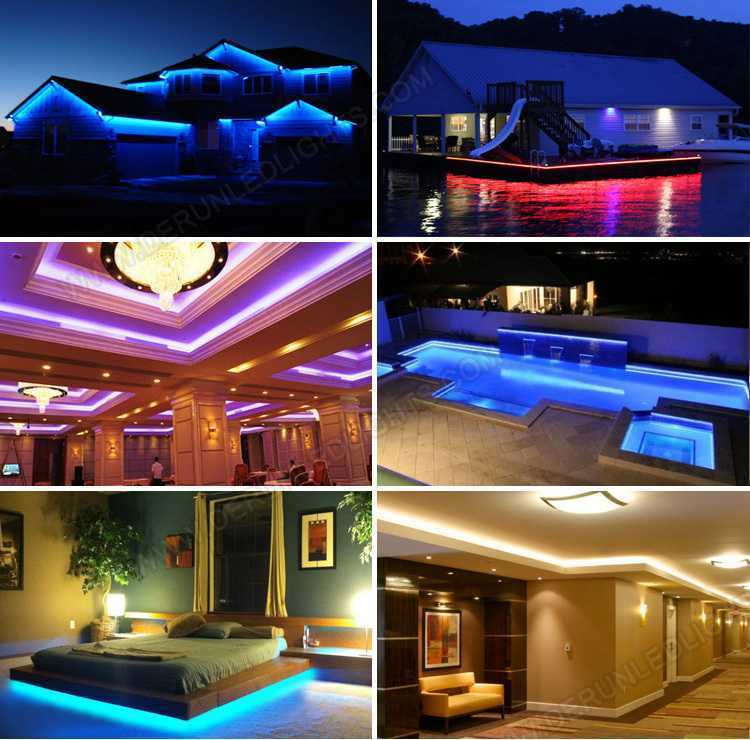 LED Strips will only achieve their maximum Lifetime installed in an Aluminum Profile to dissipate heat, protect them from elements, and create desirable lighting effects.